Marie of Prussia was born on 14 September 1855 as the daughter of Prince Frederick Charles of Prussia and Princess Maria Anna of Anhalt-Dessau. That day also happened to be her mother’s 18th birthday. “I must admire my little wife who was very steadfast and did not utter a peep”, wrote her father. Marie was never close to her parents. 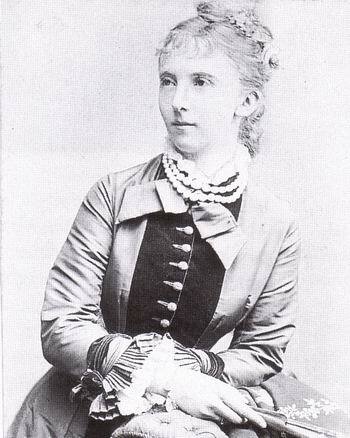 Her father was often away, and she was in the care of Augusta Kampmann, the nanny. She was soon joined in the nursery by two sisters, but the youngest sister named Anna would not eat and died a month and a half after her birth. To the great disappointment of the family, the fourth child was a girl as well. On the occasion of Marie’s 10th birthday, she was awarded the Order of Louise, named for her great-grandmother Louise of Mecklenburg-Strelitz. Two months later, her mother finally gave birth to the long-awaited son, named Friedrich Leopold. In 1878, Princess Marie’s future husband, Prince Henry of the Netherlands, had begun to realise that no heirs were to be expected from his brother’s son. His elder brother, King William III of the Netherlands, had three sons with his first wife, Sophie of Württemberg, but one son had died in infancy already. The eldest son, yet another William, has set his sights on marrying a mere Countess, which was promptly refused by his father and the unhappy Prince died in Paris in June 1879. This left just one son, who was “neither interested in men or women” and his “house was a zoo.” Prince Henry had been married once before to Amalia of Saxe-Weimar-Eisenach, but she had died in 1872, leaving no issue. Prince Henry was sent to attend the double wedding of Marie’s sister Elisabeth to the Hereditary Grand Duke of Oldenburg and Princess Charlotte of Prussia to Bernhard, Hereditary Prince of Saxe-Meiningen to inspect the eligible princesses around. While there, the 57-year-old Prince Henry noticed the 22-year-old Marie. Negotiations for the wedding were set in motion. Whether Marie was consulted, we don’t know, but Henry could certainly count on the approval of the Emperor of Germany. Her exact response to the Prince Henry’s advances is not recorded, but several family members recommended the prince to her, despite the age difference. The only family member who did not seem to be overjoyed was Marie’s mother, who became hysterical. On 19 August 1878, Henry left The Hague for Berlin where the wedding was to take place. They were married on 24 August in the Neues Palais. Marie wore a white dress with a white train decorated with silver flowers. The next morning, the newlyweds attended a church service together. They then travelled to the Netherlands on the train to the Loo Palace where Marie spent her first days in the Netherlands. Two days later, they travelled on to The Hague. Marie celebrated her 23rd birthday at Soestdijk Palace. At the end of October, they left for Luxembourg where Prince Henry was Governor. In early 1879, Marie and Henry had visited several hospitals in Luxembourg. This is probably where Henry had become infected with the measles. He and Marie were supposed to attend the wedding of King William III and Emma of Waldeck and Pyrmont, but it soon became clear that they could not go. For several days, Henry was ill. He died on 13 January 1879 at 4.30 in the morning of a brain bleed. Marie’s father left for Luxembourg immediately where he found his daughter, “well, though very sad.” Prince Henry had died a very rich man, but he had left no will, which meant that the estate was divided between King William III and their sister, Sophie. Marie’s father became very worried about his daughter’s position. Luckily, she had a dowry to rely on. It was also quite possible that Marie was pregnant and where would that leave the estate? Marie turned out not to be pregnant. Marie spent the next few years travelling and living quietly at Soestdijk Palace until the King wanted the Palace for his wife. She left Soestdijk on 15 November 1882, and without the use of the Palace, she spent even more time abroad. When Prince Alexander, the only other surviving son of King William III, died at Kneutedijk Palace in The Hague 21 June 1884, Marie was the only family member present. The year 1885 would be last year she would spend in the Netherlands. She was getting remarried. 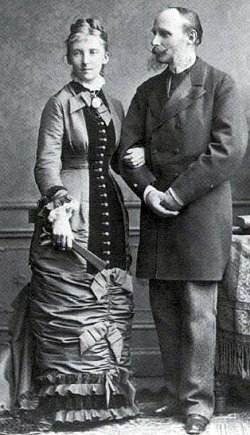 On 6 May 1885, she married Prince Albert of Saxe-Altenburg in a house belonging to Marie’s father. They honeymooned in Munich where the couple is bombarded with telegrams of congratulations from the Netherlands. The couple chose to reside at Schloss Albrechtsberg near Dresden where they resided in the apartments of late Rosalie von Rauch, the morganatic wife of Prince Albert of Prussia, who had previously been married to Princess Marianne of the Netherlands. Her new husband was an avid hunter, and he was often away for weeks. Marie spent her days painting, walking in the park and receiving guests and making visits of her own. Marie had fallen pregnant shortly after her wedding and her first child, a daughter named Olga, was born on 27 April 1886. Marie wrote to a former lady-in-waiting, “The baby is such a doll. I am so happy to have this little treasure. Thanks be to God that she is growing. I am still weak, but I am walking every day.” In late 1887, Marie found herself pregnant again. The last few letters from Marie date from the end of May 1888. She congratulated her former lady-in-waiting with her 31st birthday and “awaits the great moment.” Just one week later, Marie gave birth to a second daughter named for her. Although the labour had gone quite satisfactory, Marie developed a fever five days later. By Sunday, the situation was critical, and two days later, her death was expected any minute. She held on for one more day and managed to say goodbye to her family. 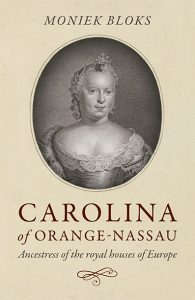 Carola of Vasa, Queen of Saxony, had spent the entire day by Marie’s bed. She died shortly before midnight on 20 June 1888.